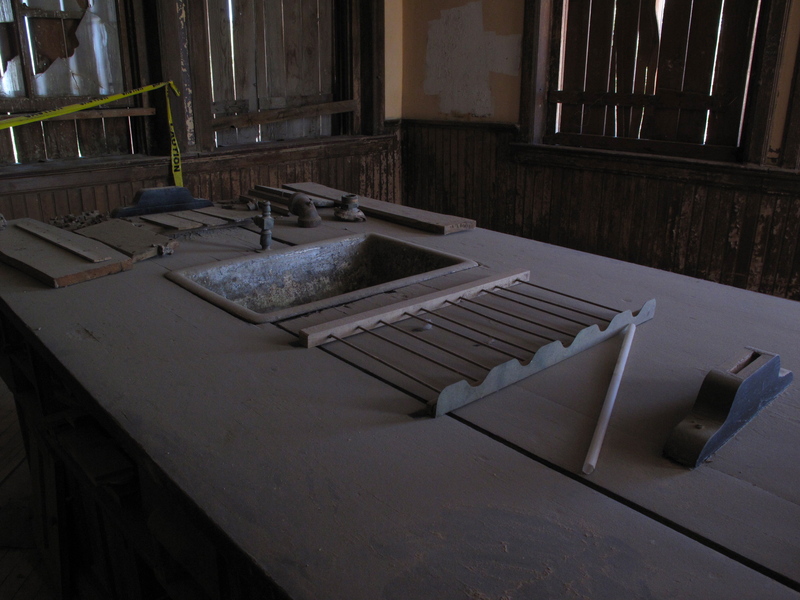 The town of Goldfield, Nevada sprang up rather quickly upon the discovery of gold there in 1902. 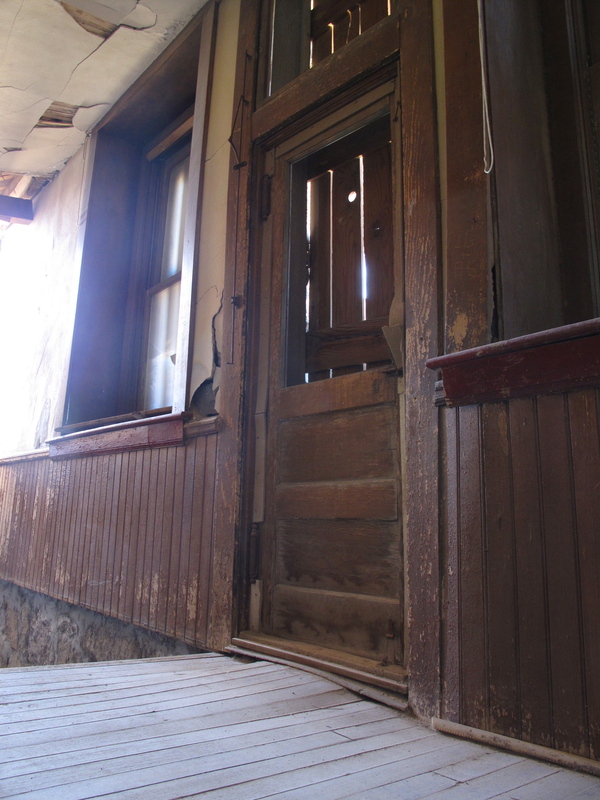 It soon became the largest town in Nevada; a thriving mecca for adventurous miners, rowdy cowboys and old west entrepreneurs alike. 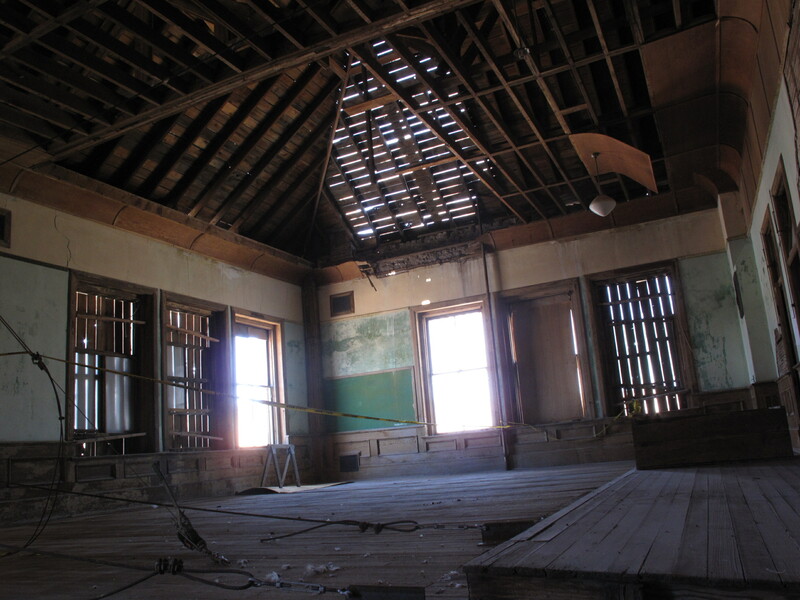 During Goldfield’s boomtown heyday, several grand buildings were erected, including the infamously haunted Goldfield Hotel and the perhaps less famous but equally as imposing (and reportedly haunted) Goldfield High School. 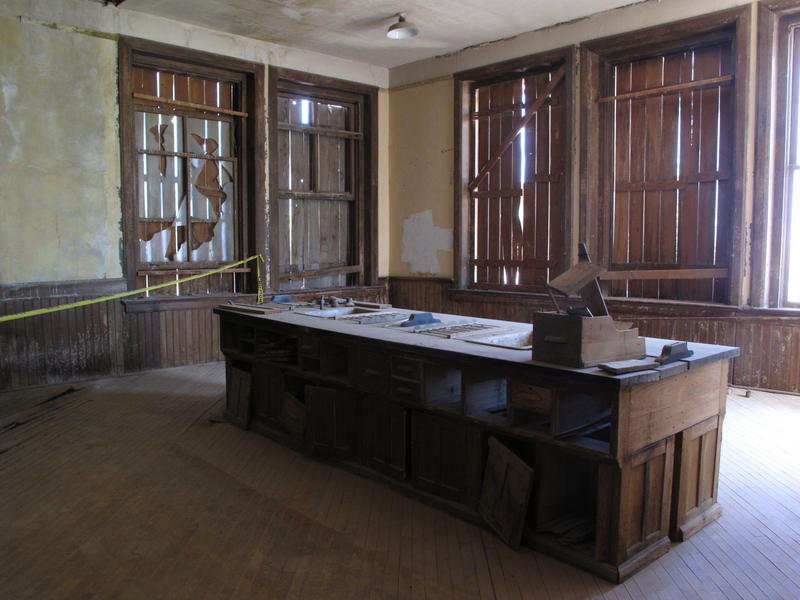 While many of Goldfield’s buildings were destroyed in a series of fires in 1923 and 1924, both the Goldfield Hotel and the Goldfield High School survived and remained operational for some time after the boom. 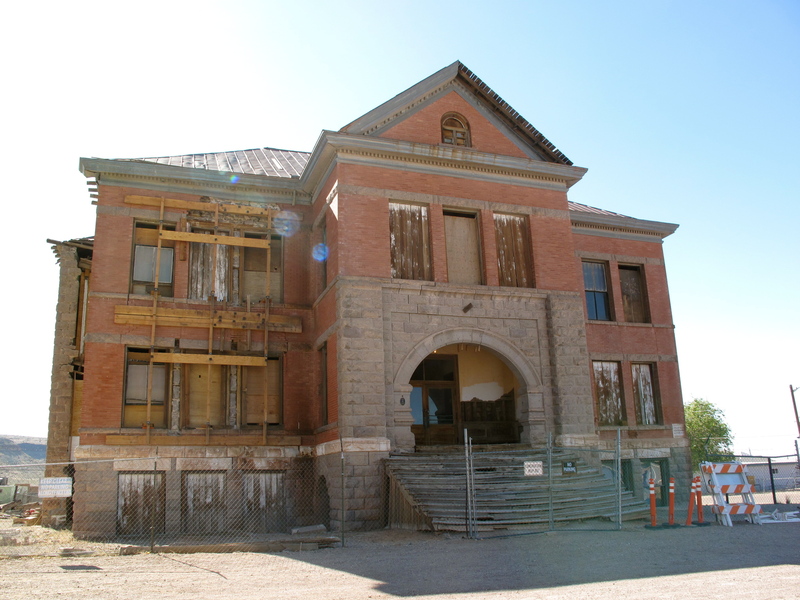 Built in 1907, the Goldfield High School remains an impressive stone and brick structure that sits practically in the shadow of its neighboring hotel cousin. 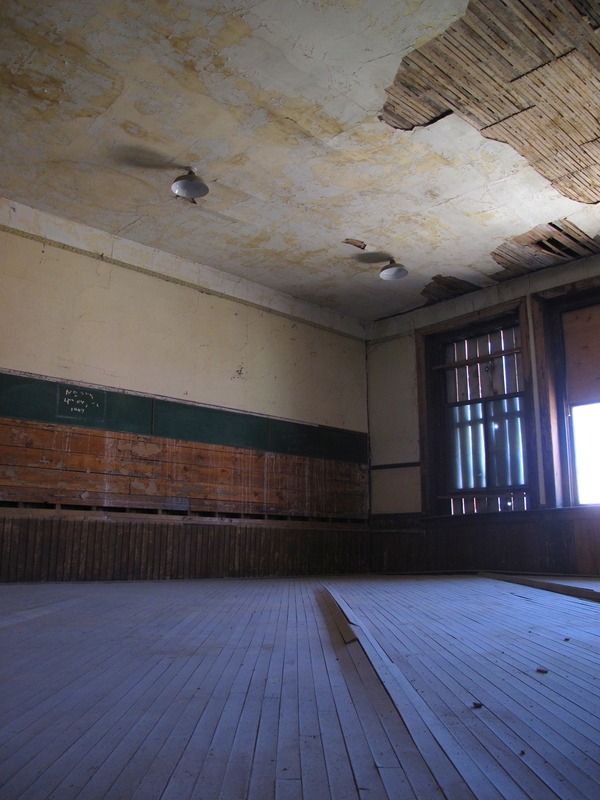 The last graduating class here was the class of 1952. 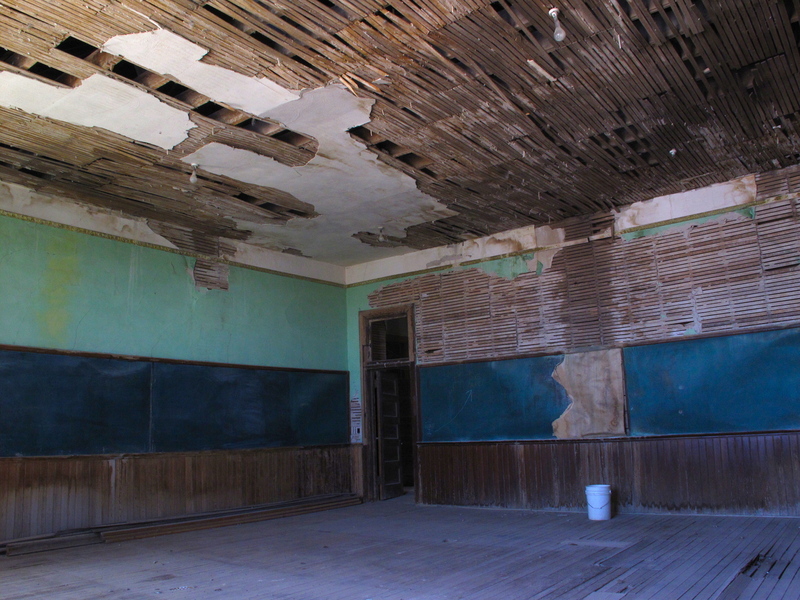 The school was abandoned in 1953 due to structural issues and has been standing empty ever since. 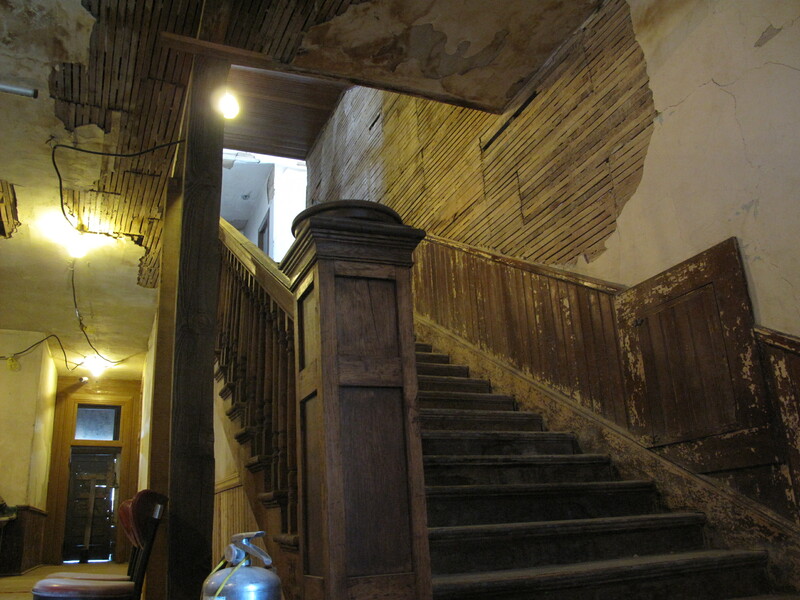 And while one might marvel today at the buildings endurance over all these years, it’s impossible to miss the warping and bowing of the wooden staircase leading to the front doors, the crumbling brick and plaster and the sagging of the right-hand side of the building. 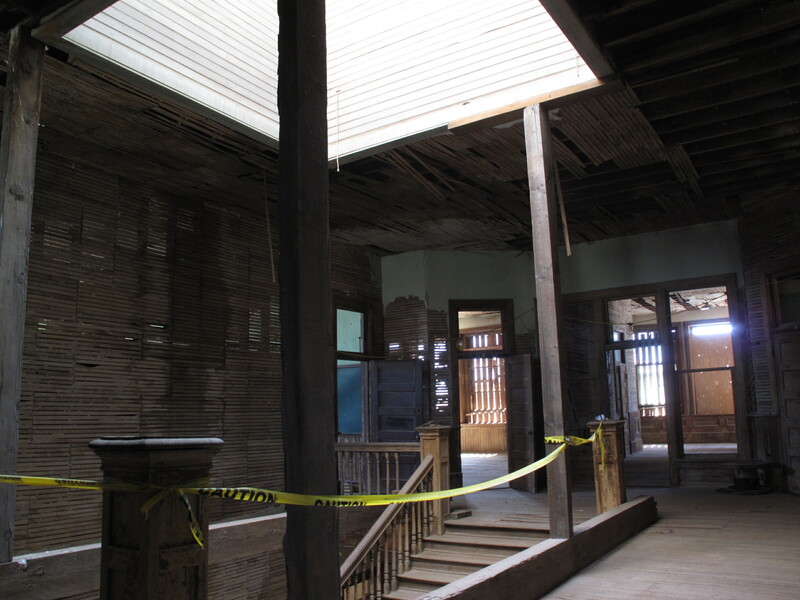 There are entire walls missing, covered only with plasterboard and wooden support beams. 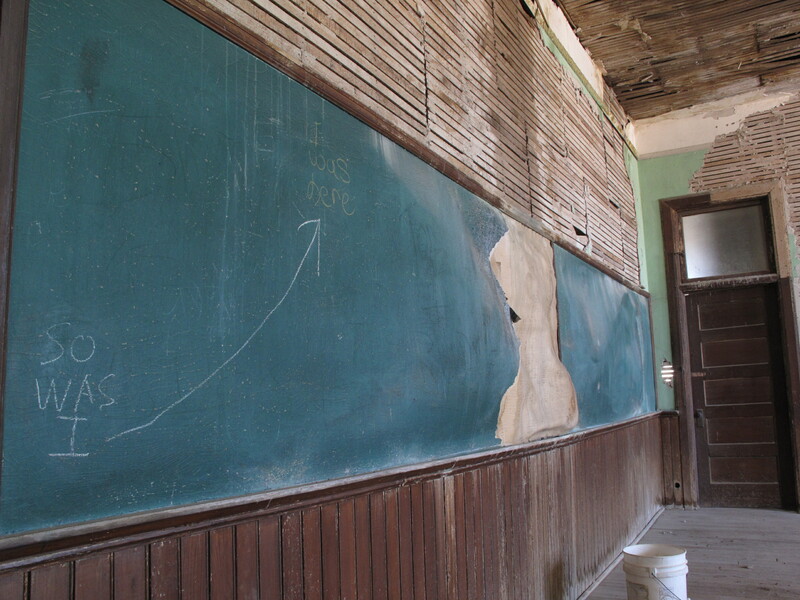 Because of an odd architectural flaw that diverted rainwater under the building, rather than away from it, if left to its own devices, the Goldfield High School will soon collapse upon itself. 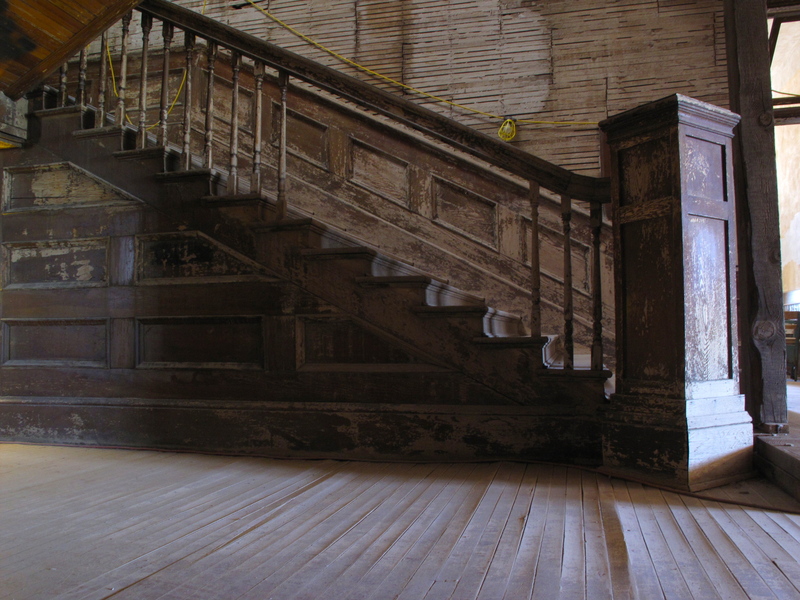 There have been efforts by the Goldfield Historical Society to save this beautifully decaying relic of the past. 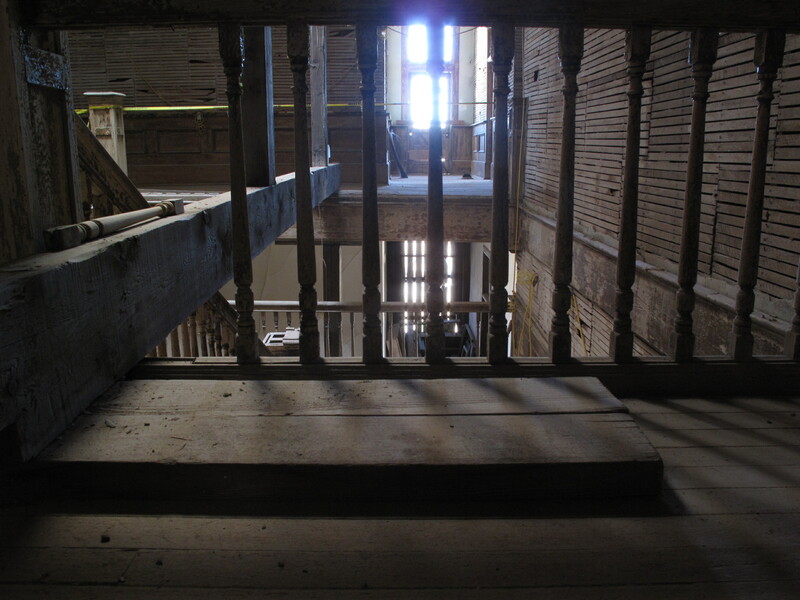 They have received grants from the National Park Service Save America’s Treasure’s program as well as the National Trust for Historic Preservation. 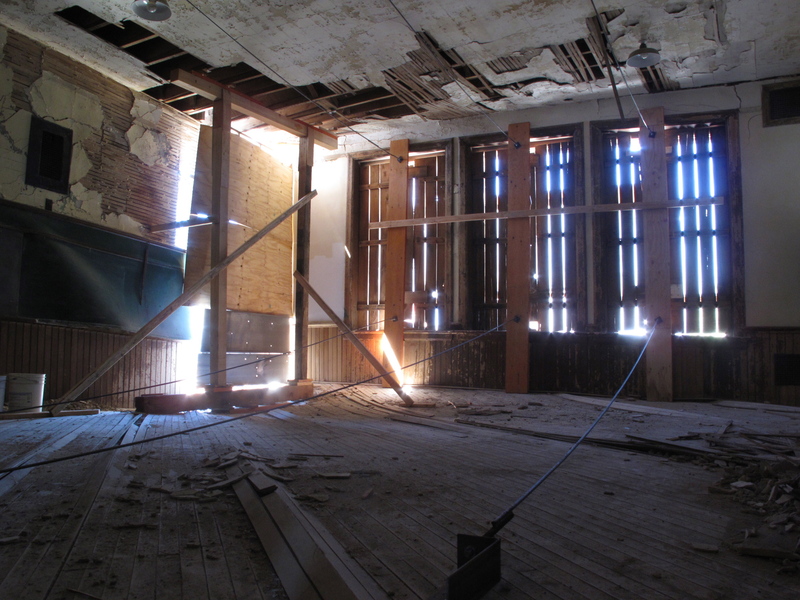 These funds, along with private donations, helped to provide initial emergency stabilization for the building. 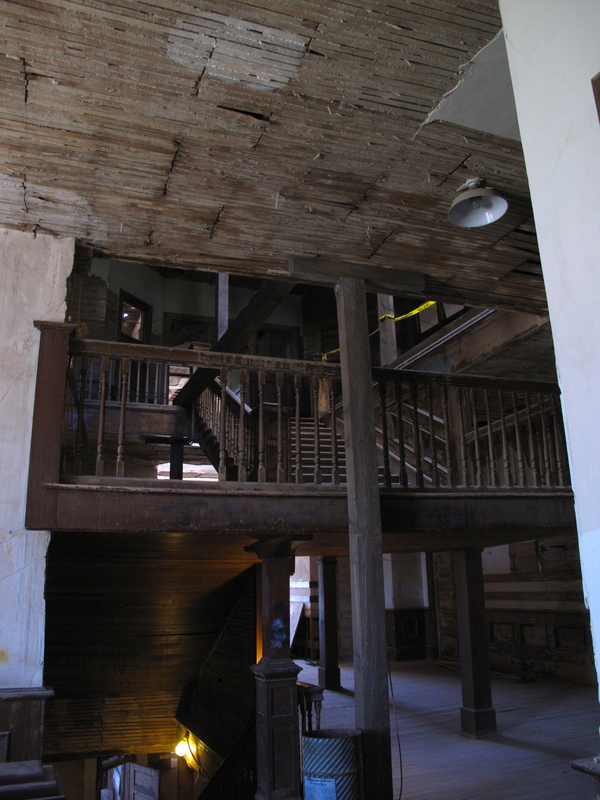 However, further stabilization and restoration are needed to save it. 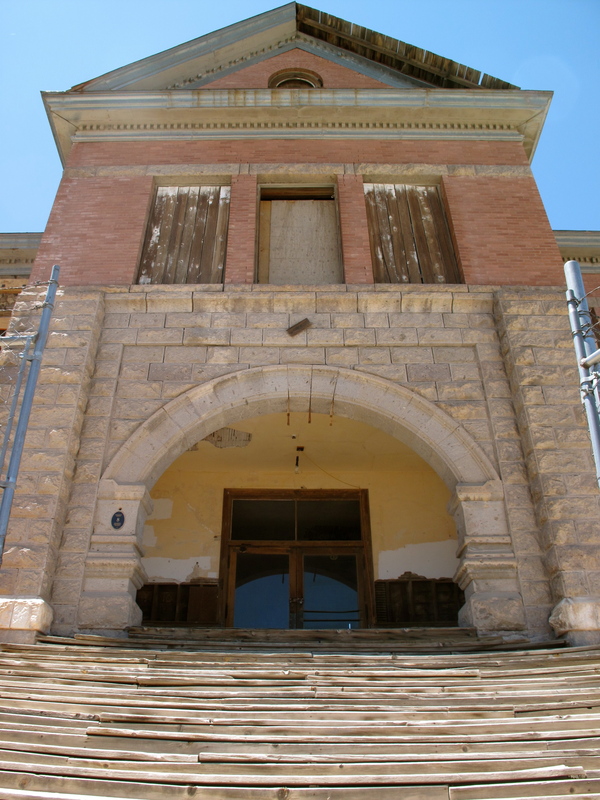 To learn more about the current status of the Goldfield High School, and to find out how you can help, visit the website for the Goldfield Historical Society. What I want to know is WHY. 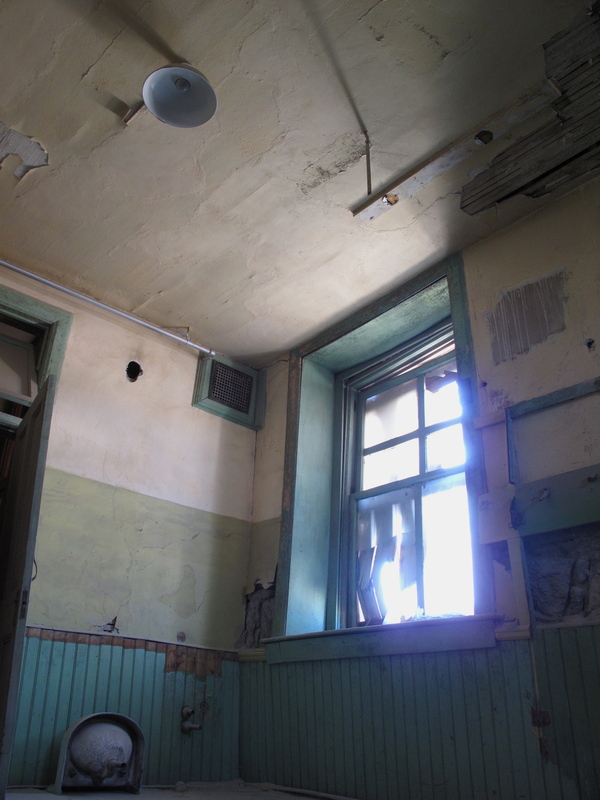 Why did students at Goldfeild high school fear for their lives, according to Zak Bagans? Me too, i can’t find anything. Did you ever get a reply? Well aside from the fire that almost burned down half of the town. A young girl was murdered and her body was just thrown underneath the high school. 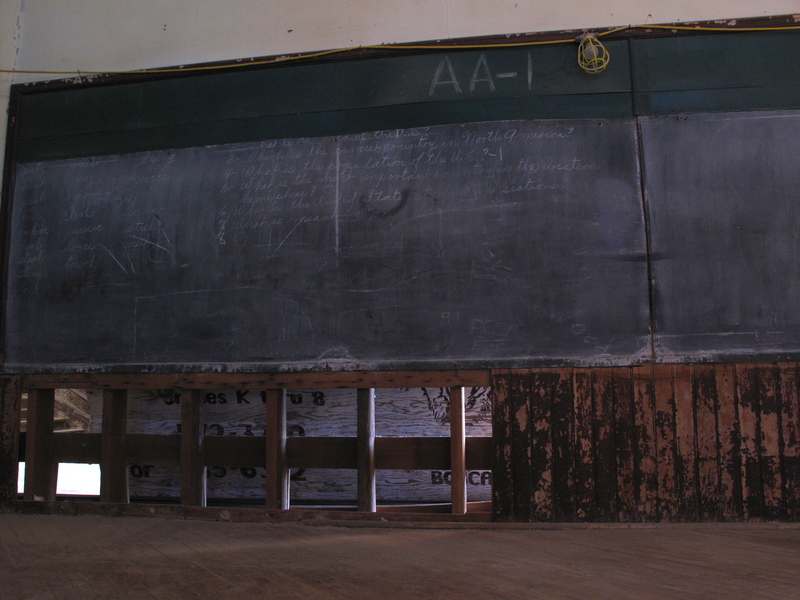 Which may be a possibility as to why students feared for their lives. 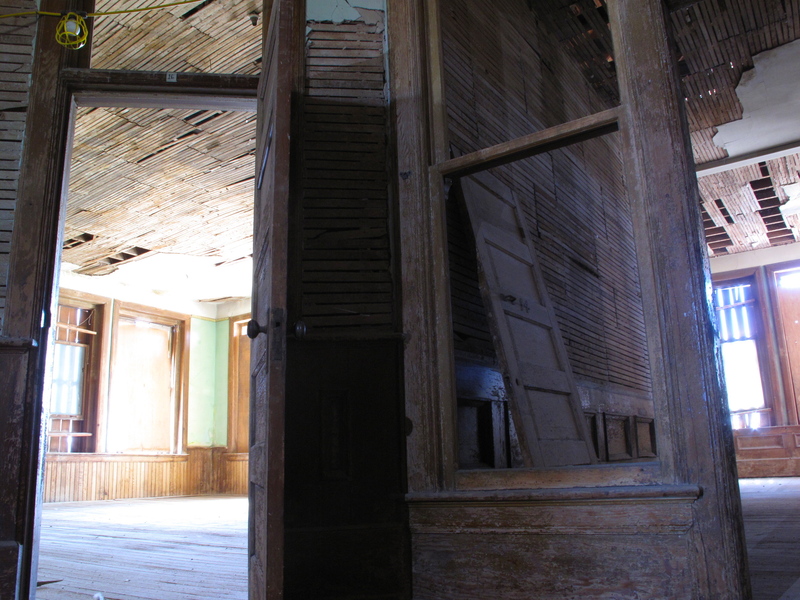 Previous Previous post: Mizpah Hotel, Tonopah, NV – Old Haunt, New Life. 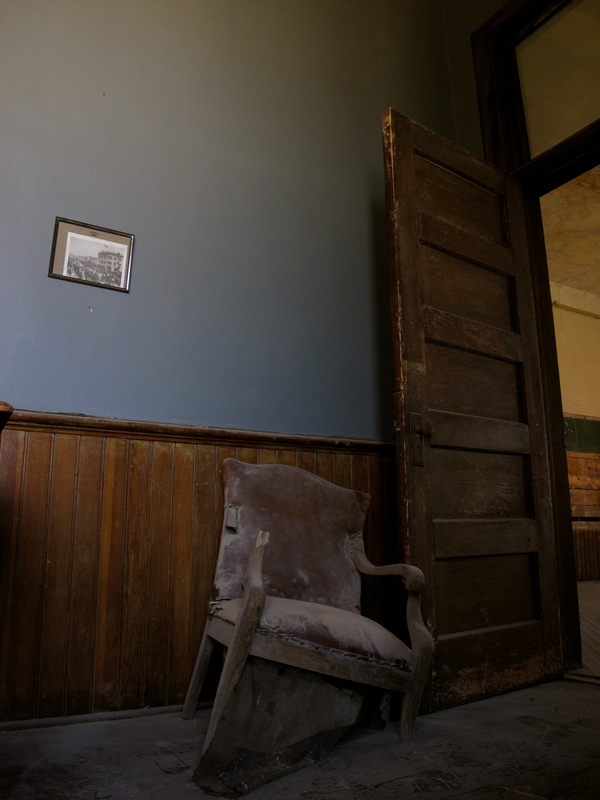 Next Next post: Advance LA Screening of SILENT HOUSE – Monday March 5th, 2012.